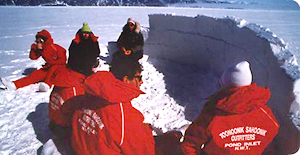 Tununiq Sauniq Co-operative was incorporated in 1968 and is one of the largest and most diverse Co-ops in Nunavut. 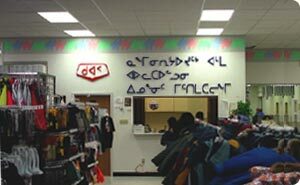 In Pond Inlet, businesses include a retail store, convenience store, hotel, fuel delivery, cable television services and property rentals. Located on Eclipse Sound on northern Baffin Island, beautiful scenery and abundant wildlife bless Pond Inlet. Referred to as the "jewel of the Baffin", this ancestral homeland of the North Baffin Inuit is rich in archaeology. Thule Inuit lived in the region for centuries and left many interesting sites. American and Scottish whalers frequently visited the area early in the 19th century. Today, the major activities include tourism, ocean mammal harvesting, hunting and fishing, trapping and oil exploration.